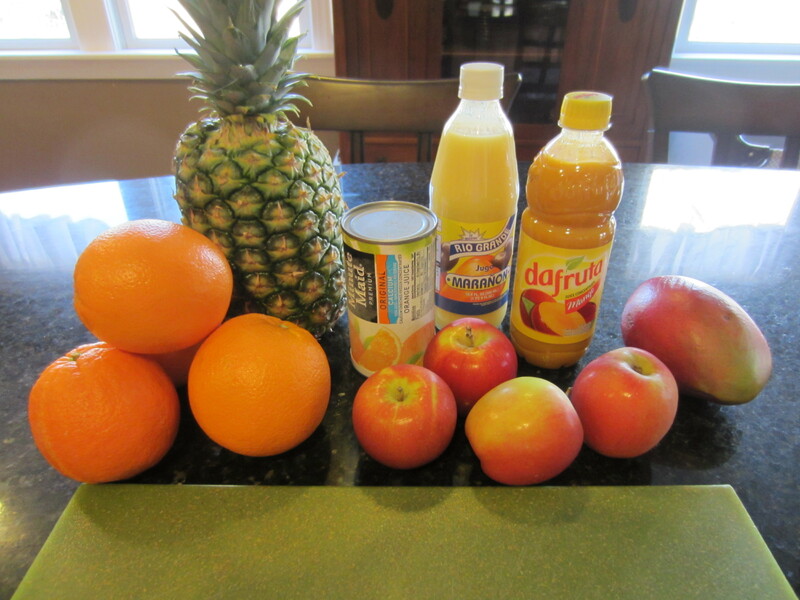 Andy’s favorite drink of all time is his mother’s fruit salad, or “Ensalada”, juice. His mother makes this juice for every family gathering. I made it for the first time this weekend for a dinner party. 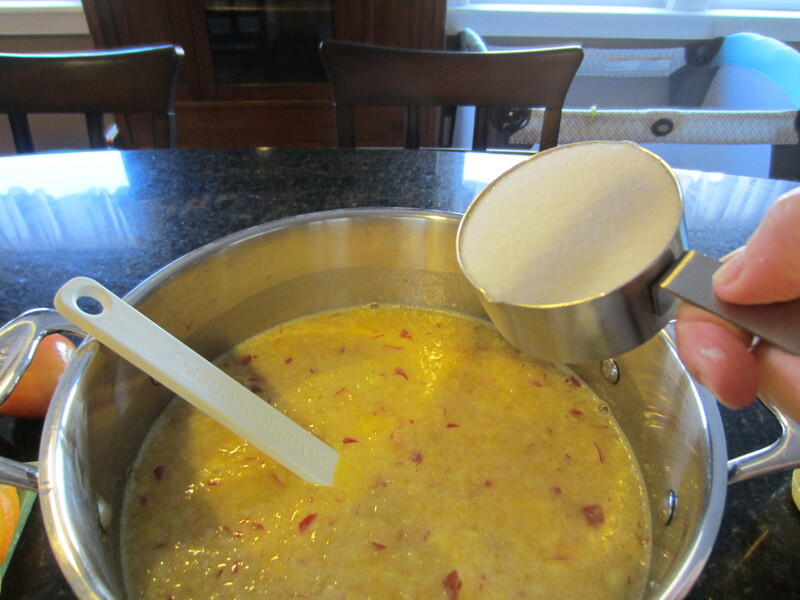 I started by pouring the cashew juice, mango concentrate and orange concentrate into a large stock pot. This next step is where I became a cheater-cheater-pumpkin-eater. 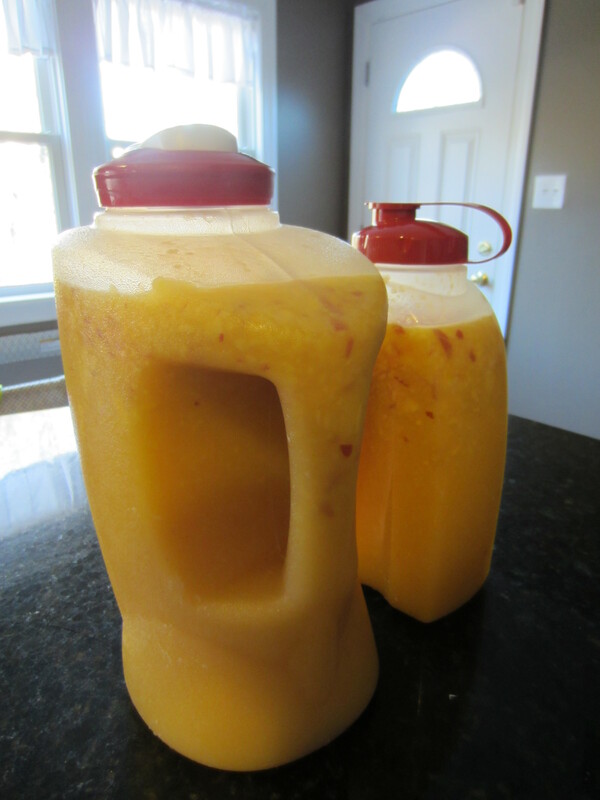 When Andy’s mom makes this juice she hacks at each fruit with a machete-like knife. For hours. Hack! Hack! Hack! One by one the tiny and juicy pieces of fruit fall into the bowl and swim about in the fruit concentrate. It’s beautiful and authentic. I used a food processor. Please don’t tell her. 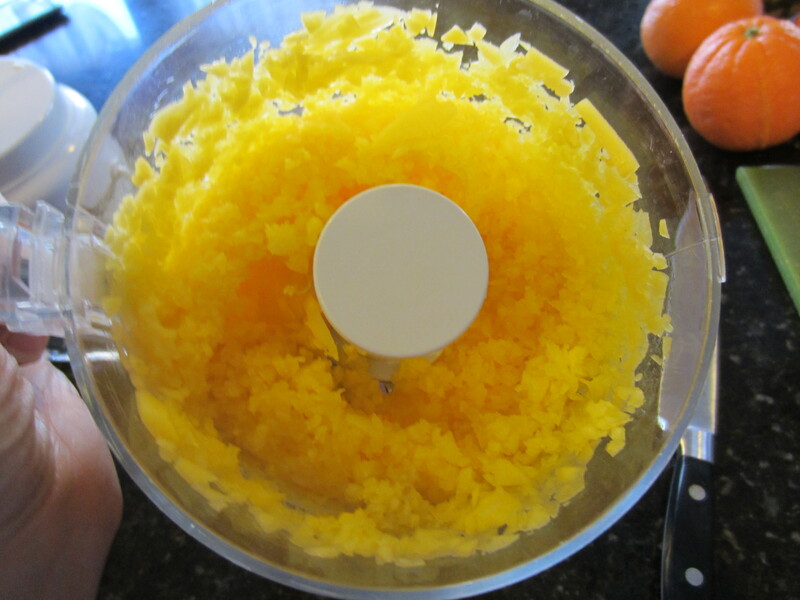 The chopped mango went into the processor first for a few seconds on “pulse” and then I scooped it directly into the concentrate. 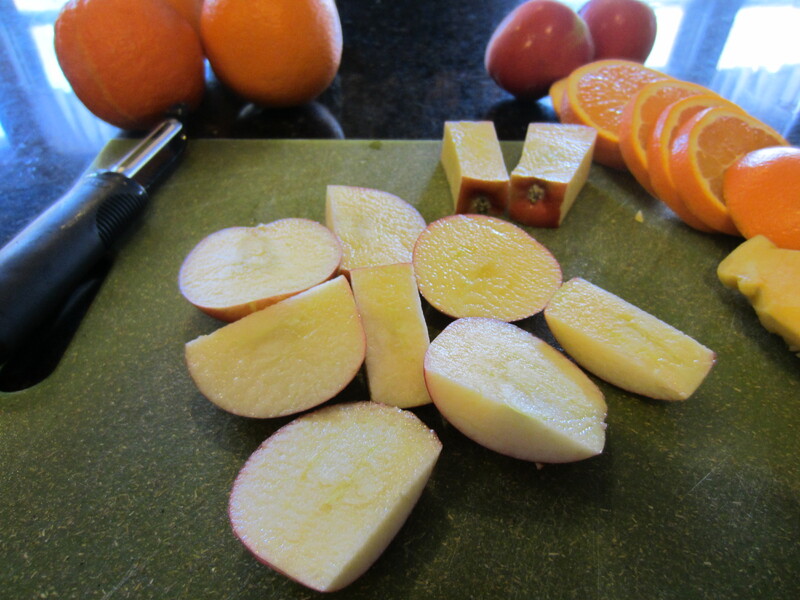 Next, I cut up the apples, leaving the skin on per Irma’s instructions. Then I unceremoniously dumped the apple pieces into the food processor and hit the pulse button. For the pineapple I used a chef’s knife to cut off the top and bottom to create a stable surface for cutting, then I sliced off the rind and cut the fruit off the core. 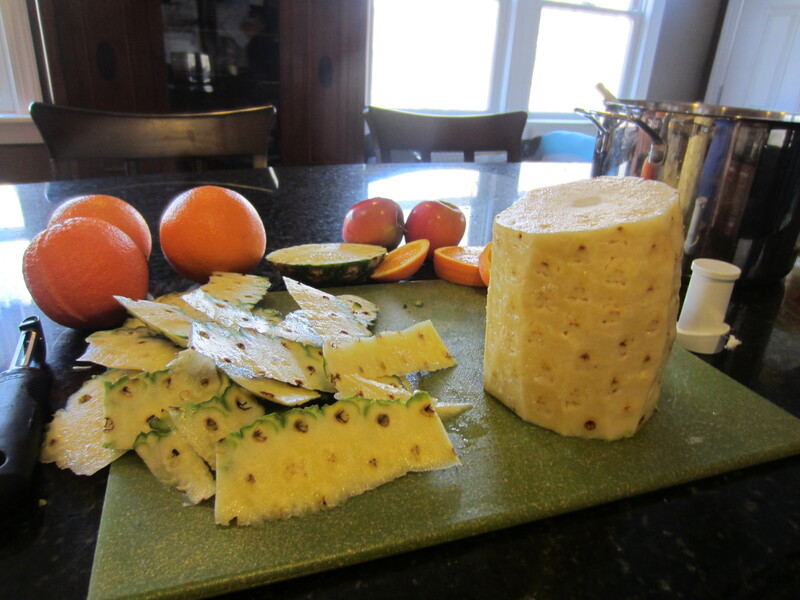 The pineapple took three trips to the food processor. Did I mention my husband was supposed to be making this juice? 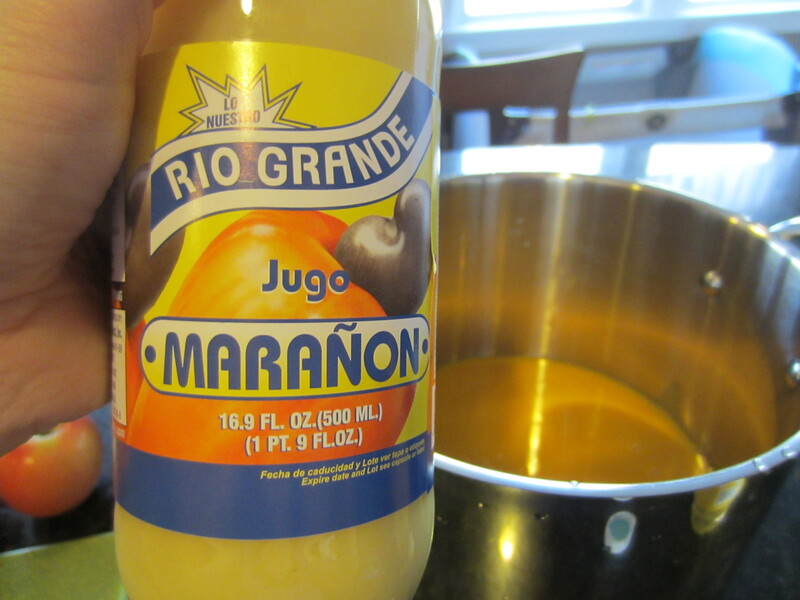 Next I added three quarts of water, but you could add more or less depending on how thick you prefer your juice. 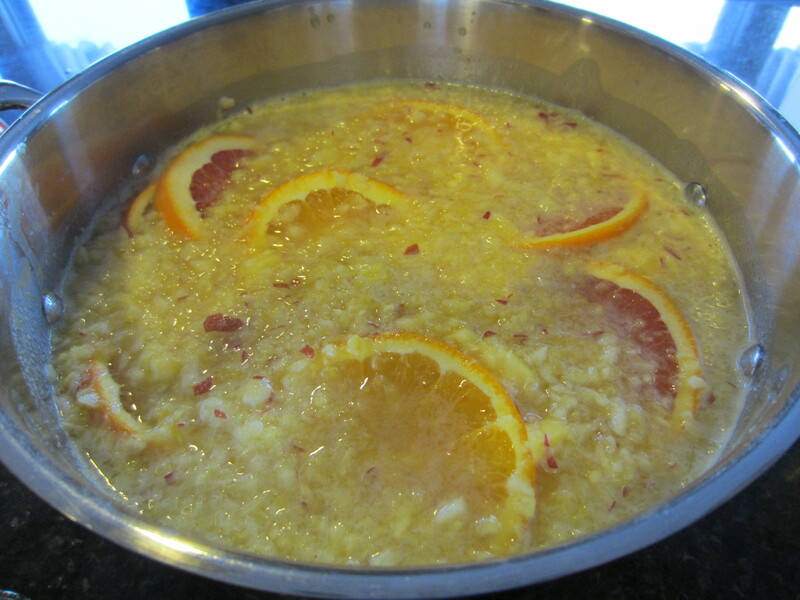 There’s a ton of fruit pieces in this, so it’s gonna be somewhat thick no matter how much water is added. The recipe Andy got from his mother said to sweeten to taste. After a thorough search of my cupboards I was only able to find one and a half cups of regular sugar, and I added the entire kit and kaboodle to the juice. My version tasted much less sweet than Irma’s, so I’m guessing she typically uses at least another cup of sugar, depending on the ripeness of the fruit. 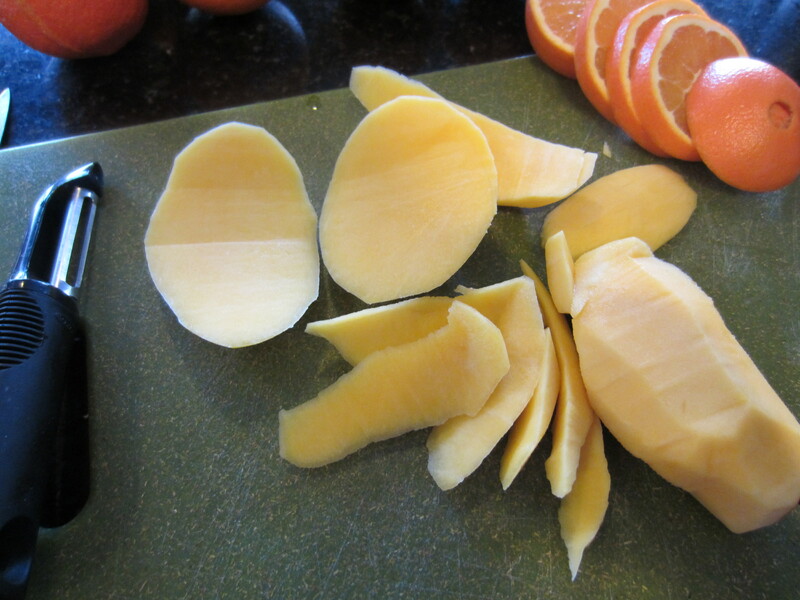 I sliced the remaining oranges (which I hadn’t sliced earlier only because I forgot after I got caught up in my rebellious use of the food processor) and put them into the juice. 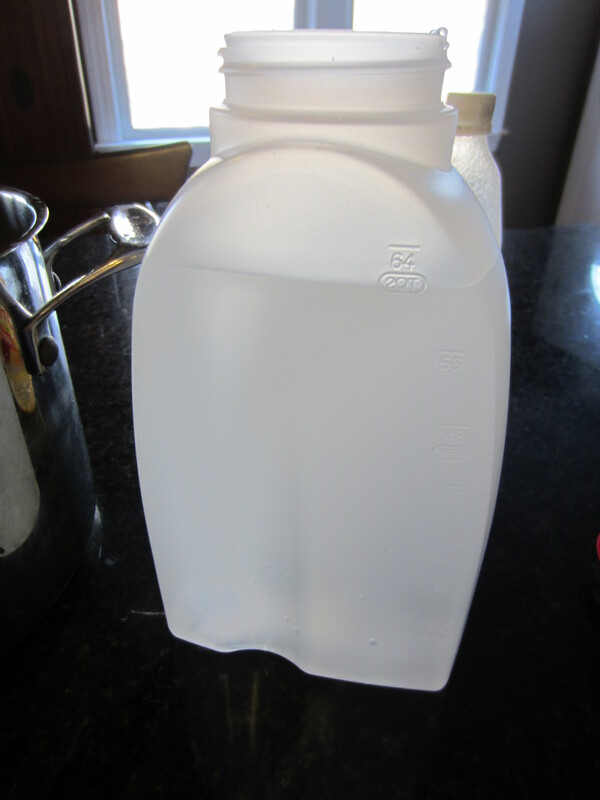 It made about a gallon and a half, easily quenching the thirst of all eight adults at the dinner party with some leftover for the next day. I think I’ll go have another glass.